The American Association of Law Libraries affords chapters the ability to purchase liability insurance coverage through its carrier, Hartford Insurance. The annual premium for coverage is $1.00 per chapter member. To apply for coverage, please remit a check made payable to AALL in the amount of $1.00 times the number of members of your chapter as of October 1, 2018. Please complete the form at the bottom of this letter and mail it with your check to the address indicated below. 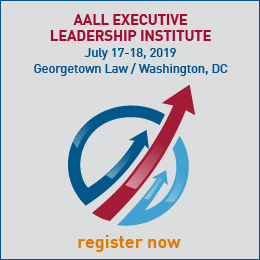 In order to include this coverage for your chapter, AALL must receive your check no later than October 28, 2018. 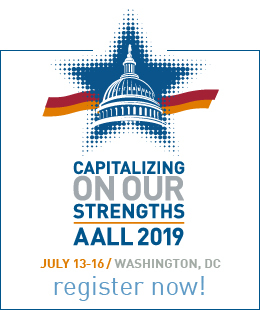 If you have any questions you may call the AALL Executive Director Vani Ungapen at 312.205.8016. A chapter may be required to provide a certificate of insurance coverage to a venue before contracting to use the facility. In order to obtain a certificate, a chapter representative will need to call Cook & Kocher Insurance Group at 847.692.9200. Upon your instructions a certificate will be mailed to the address of the venue.